Extreame Savings Item! Free Shipping Included! 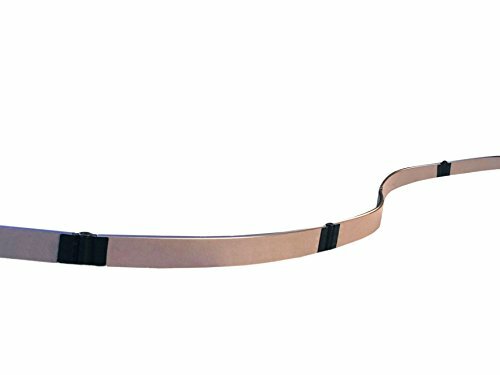 Save 42% on the Frame It All 300001800 Uptown Landscape Edging 16'' x 1'' Curved Kit, Brown by Frame It All at The Net Stores Network. MPN: 300001800. Hurry! Limited time offer. Offer valid only while supplies last. Highlight your gardens curves! our tool-free landscape edging kits make it simple to boost your curb appeal & solve a host of landscaping issues. Highlight your gardens curves! our tool-free landscape edging kits make it simple to boost your curb appeal & solve a host of landscaping issues. Create simple borders, pathways or even small retaining walls. Your kit comes with everything you need to cover 16 linear'. you get four of our revolutionary 1” uptown Brown curved composite boards, & four 1” snap-lock anchor brackets. Brackets simply slide & snap to lock securely to the board. Anchor brackets grip the ground tight, so your edging will stay put no matter the weather. The serrated stakes will also help to keep your borders from being disturbed by mowers or any human activity. Our raised garden bed anchor brackets pivot 270°, allowing endless design options. Add gravel or mulch between sections to create paths or textural interest. When creating pathways, be sure to line with landscape fabric to prevent weeds before filling with gravel or mulch. Straight landscape edging kits are also available. Feel free to mix & match to create a border that flows with your landscape. You can stack your backyard borders higher to create deeper borders or to create levels & cascading features? simply order additional 1” uptown Brown curved boards & 1” snap lock stacking brackets (your kits come with anchor brackets). the modular design of all Frame It All products means that you can add, stack, re-design or re-purpose your materials any time the mood strikes.